One of the first questions couples counselors ask couples at the beginning of treatment is some variation of, “What issues brought you here today?” Nine out of ten couples, couples answer “communication issues!” almost in unision. Couples typically struggle much more when the couples therapist follows up by asking, “What communication issues are you experiencing?” What are communication issues? How do couples learn to communicate better in their relationships? Can you really improve communication in your relationship and learn to argue better and increase closeness? 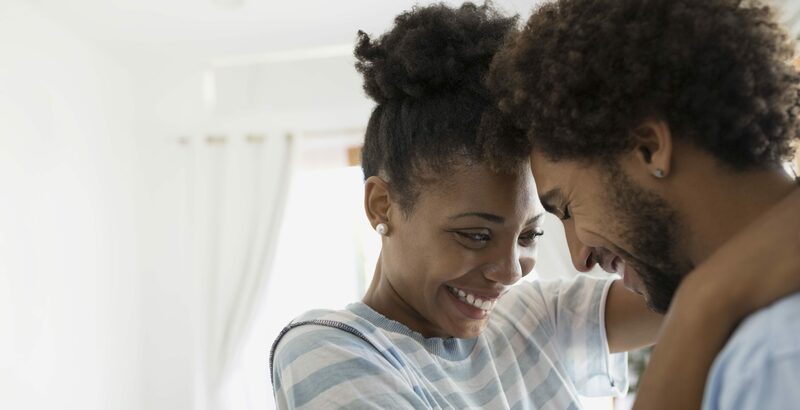 It often isn’t the major fights or blowouts that leave a couple feeling detached or disconnected from each other, but a gradual decline in the quality of a couple’s ability to communicate. As time goes on, it becomes easier and easier to pay less attention to the ways in which we communication our affection or appreciation for one another because it “should be obvious” how we feel, or because we believe the other person “should know that we love him/her.” Problems in communication that don’t revolve around a specific conflict in the relationship can be difficult to pinpoint as the culprit of a couple’s trouble because they often aren’t easy problems to point to. Instead, the couple in question may feel a diffused uneasiness, disinterest, or a feeling that something is “missing.” Here are some tips that often help couples to improve their communication on an everyday basis in ways that foster connection, affection, and a feeling of closeness with one’s partner. Here’s a simple exercise to illustrate the importance of avoiding distractions while communicating. Imagine this: a friend that you haven’t seen in awhile has just asked you about what is new in your life. As you begin to tell stories about the recent events in your life, your friend reaches into his or her pocket, pulls out a cell phone, and begins to scroll through social media. How do you feel? What do you do? Typically, this sort of interaction leaves people feeling mildly hurt, offended, rejected, or otherwise upset. The most common reaction is to feel as though what we have to say isn’t important to the person to whom we’re speaking. Given the mild nature of this offense, we might not complain overtly, but rather are more likely to disengage or shorten the story—nobody wants to share the details of their life story to someone who isn’t paying attention. Very often, these interactions are isolated events that are made up for by other more attentive interactions. Over time, however, the feelings of unimportance can build if interactions are more and more distracted. For many couples—especially those faced with the many distractions of parenthood—this can become a major obstacle to feeling heard and valued. Putting aside the cell phone, setting down the newspaper, muting the TV, and even simply making a conscious effort to look at your significant other while they are talking can have a huge impact on that person’s experience during everyday communication. Along those same lines, paying more attention to your partner instead of extraneous distractions provides opportunities for you to begin to notice and acknowledge your partner. Communication is a two-way street, so listening is only half the battle. Psychologist and relationship expert Dr. John Gottman has described a “magic ratio” of 5 positive interactions to compensate for each negative interaction—so for every fight, argument, or criticism, a couple that flourishes has five positive interactions in which they may compliment each other, express affection for each other, or otherwise demonstrate the the other person matters. By being intentional about paying attention to each other, you gain more opportunities to create these positive interactions. The more specifically you’re able to compliment or acknowledge your partner, the better—sometimes “you’re so smart!” is good, but “I’m so impressed you were able to come up with that solution! You’re so smart. I really appreciate that,” is even better. Ask Yourself: Can It Wait? John is going to have to put gas in the car tomorrow, and may still feel the need to ask Jane not to bring the car home empty, but it can wait—it doesn’t need to be said right away, much less right in the middle of Jane’s story. By letting go of this opportunity, he allows for this positive interaction to occur between them in which he acknowledges Jane’s hard work and expresses gratitude for her efforts instead of criticizing her behavior. This also allows him to address the problem later, when he isn’t as frustrated and can more calmly think about how he wants to present and address the problem. No One Can Read Your Mind. Ask for What You Need. As I have said above, communication is a two-way street. Sometimes we aren’t immediately equipped to communicate in a way that our loved one might need, so we must learn how to do so. Very often, one or both partners may make sincere efforts to improve communication, but may not have a clear understanding of exactly how to do so. To this end, it can often be helpful for partners to express to each other what did or did not work. In the example above, Jane might express frustration or hurt at her story being derailed by criticism, or she might express gratitude for John noticing her hard work. She might offer feedback by saying “It really hurt my feelings when you jumped my case during that story. I know it’s an inconvenience for you to fill up the car on your way out of town, and I’m sorry, but I felt like we could have waited until afterward to discuss that.” This is the beginning of a larger conversation, but this feedback alone provides important information about how John’s communication affects Jane, which John can then use to inform his approach to fostering connection between them. Sometimes, this isn’t clear. We may not know what we need, but rather may only know that something isn’t working. To this end, meeting with a couples counselor can help to not only improve communication, but otherwise note the cyclical patterns in play that can be addressed and adjusted in order to improve a couple’s day-to-day. Bergen Counseling Center is one resource for couples counseling in Chicago where communication skills are just one of the many areas of focus, and where many couples begin to feel change takes place. If you’re interested in learning more, use the contact box on this page to reach out to a therapist for more information. The time around the New Year presents a great opportunity to try something new. Whether you currently have a wellness routine or not, yoga is an accessible activity with both physical and mental benefits. It’s no secret that yoga continues to enjoy a bit of a moment in the United States, with more people than ever trying out this ancient practice and reaping its many physical and mental health benefits. If you look around next time you’re out and about, you’ll probably notice yoga studios cropping up on every street corner in both urban, suburban, and rural communities, and yoga classes on the schedule at many gyms, community centers, and even in schools! The most recent Yoga in America study conducted by Yoga Alliance and Yoga Journal reported that yoga continues to gain popularity, U.S. with an estimated 36 million people practicing yoga in 2016, an increase of nearly 16 million since the study was last conducted four years prior. Furthermore, although many associate the practice of yoga in the U.S. with young women, the study revealed huge increases in the number of male yoga practitioners as well as the number of yoga practitioners over the age of 55, with an estimated 10 million men and 14 million individuals who are 55+ – that’s an increase of nearly 4 million people in each category since 2012! With Yoga Alliance continuing to advocate for broad-based diversity within the yoga community and accessibility for all, now more than ever yoga is proving that it’s an activity for everyone. Medical, behavioral, and social science researchers continue to learn new and interesting things about the far-reaching physical and mental health benefits of regular yoga practice. The American Osteopathic Association states that some of the key physical health benefits of yoga include increased flexibility, stronger muscles, improved respiration and metabolism, improved circulatory health, and better balance. 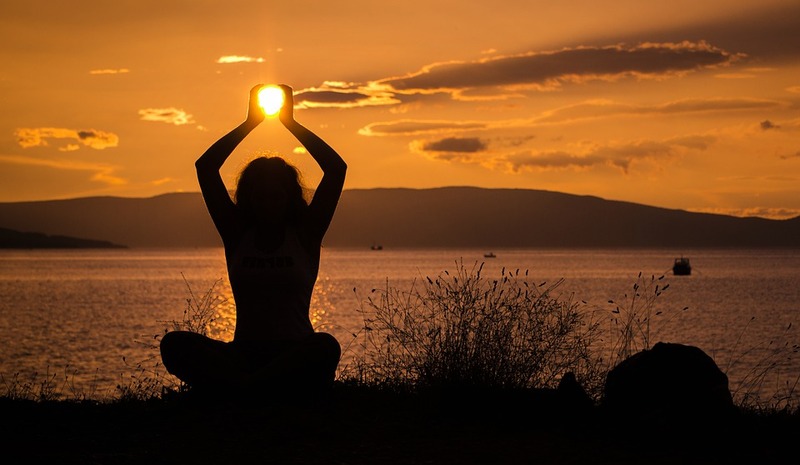 In addition, behavioral science research highlights a number of mental health benefits of regular yoga practice, including improved stress management, increased bodily awareness, an enhanced sense of calm and relaxation, improved focus and concentration (including for individuals with ADHD), reductions in symptoms of depression and anxiety, better body image and body acceptance, assistance with the physical and emotional aspects of chronic pain, and lower rates of alcohol and substance abuse. While practicing yoga in and of itself is not a “magic bullet” for every ailment and research into its benefits is still ongoing, many people indicate that regular yoga practice is one important element in a multifaceted approach to their overall health and wellness. Swami Vivekananda is often credited with introducing yoga to the west at The Parliament of World Religions at the 1893 World’s Fair here in Chicago, and through doing so began shaping yoga to encourage a positive reception by its curious western audience. Stefanie Syman, author of The Subtle Body: The Story of Yoga in America, notes that one of yoga’s most striking features is its ability to evolve and change to meet the cultural needs of the time and place, as well as the needs of the individual practitioner, and indeed, the process of yoga’s Americanization began all the way back in 1893. Flash forward over a century, and main variety of yoga practiced in the United States is Hatha Yoga, which includes a number of different commonly practiced subcategories, such as Vinyasa, Ashtanga, Iyengar, Bikram, and Kundalini, among others. The broad category of Hatha yoga is simply the practice of moving the body with the breath. Attend a class and you’ll be guided through a series of poses or postures (asanas) in harmony breath-work (pranayama). Classes often involve a sequence of poses that begin gently while lying down, then move to seated poses, and eventually to standing and/or balancing poses. Based on individual needs and body differences, poses may incorporate props like yoga blocks, bolster pillows, or folded blankets for added support. Do some research into local yoga classes and instructors, including the variety of yoga they offer. As you get started, try an introductory class or experiment with taking different styles, instructors, and/or studios to see how they differ. If you feel especially nervous or apprehensive about getting started, consider booking a private or semi-private session to learn some of the basics. Many studios and instructors offer this as an option. Once you’ve found a studio or a class you like, many offer discounted class packs, which are a great way to build a consistent practice into your lifestyle. Consider committing to one or two classes per week as part of your self-care routine. Many people find it beneficial to also cultivate a home yoga practice alongside practicing at a studio. Keep your home practice simple at first. Aim for 10-15 minutes each day and play around with the time of day you practice. Don’t worry about investing in a lot of gear at first: A yoga mat and a throw blanket or beach towel is all you’ll really need to get started. As you practice, be aware of the tendency towards self-comparison and become curious about it. Many new yogis and yoginis notice this at first, especially in our visually-oriented culture. Remind yourself that your practice is your own, and it will look and feel different than someone else’s. If you find that you’re comparing yourself to others or feeling frustrated, remember that a core principle of yoga philosophy is compassion – and that includes compassion for yourself. Remember that each time you get on the mat will feel different. The key is to follow your breath, listen to your body’s limits, and remain curious about your experience. Get creative with ways to extend yoga beyond the physical practice, what some call “bringing yoga off the mat.” Remember that Karma Yoga is about engaging in unselfish acts, and Jnana Yoga is about wisdom, intellect, and self-knowledge. Consider reading up on the yamas and niyamas, which are the ethical principles of yoga. As you continue growing in your physical practice, layering in other elements from yoga philosophy can lead to an even greater sense of personal growth. Happy Holidays, Namaste, and best wishes to you on your yoga journey!